There is no such thing as an accepted Indus Valley script dictionary. Such a dictionary is probably decades away. 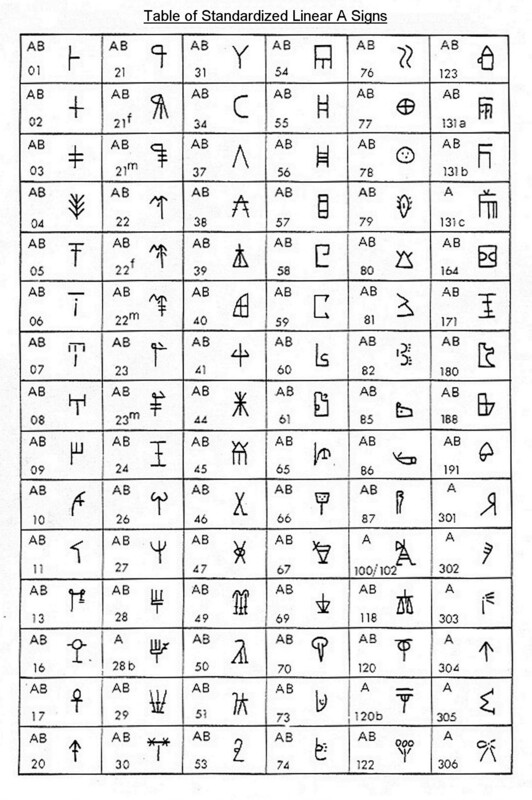 Nonetheless, below are summarized some of Parpola1 and Mahadevan's2 speculations on some of the most common ancient Indus signs. 2. star The word meen designates both fish and star in most Dravidian languages. Suggests the heavenly bodies were conceived of as fish swimming in the ocean of heaven, representing gods. space + fish vel (i) + meen white star Vel-meen and Velli both mean Venus in Tamil. 3 + fish mum (m) + meen three stars The new year asterism Pleiades has this name in Tamil; in myth the wives of the Seven Sages. 6 + fish (*c) aru + meen six stars In The New Year asterism Pleiades has this name in Tamil. In myths the wives of the Seven Sages and mothers or wet nurses of the god of war (the vernal sun). fish elu + meen seven stars In Tamil, the name of Ursa Major, the 'Seven Sages' in India. 2. star or red dot/blood drop (=rohini'red' in Sanskrit) The red dot painted on the forehead at marriage = the 'third' eye of the Heavenly Bull < alpha Tauri = the ancient star of the new year (marriage of Sun + the heavenly bride rohini,'menstruating'), represented by the red fish (scales as tilaka mark). halving + fish pacu + meen green star in Tamil, paccai refers to greeness and the planet Mercury, which represents the green-hued child god Krishna. roof + fish mey/may + meen black star Saturn's name in Tamil. Saturn rides a turtle, a 'fish' with a 'roof'. fig tree + fish vata + meen North Star Vata-min is the star 'Alcor,' orig. probably Thuban. 'Banyan fig' is the tree of 'ropes' (vata): starts do not fall because they are fixed to the North Star (in Dravidian also 'fig/rope star) by means of visible ropes. 4 + fig tree nal + vata hanging rope Banyan as '(the tree) possessed of hanging ropes': nal/nal/al 'to hang down' seems to be th etymology for al (a-maram) ' banyan tree'. Indus tablets with '4 + fig' have a solitary fig leaf on the reverse. man al/an man, servant The sign occurs in prestly titles paralleling Mesopotamian titles 'Man/Servant (ofthe god X)'; the most common Dravidian word for man also means servant. ring(s)/ bangle(s) muruku boy, youth, Muruku (the youthful god of love and war) The sign signifies 'royal ear-rings' in [Tibetan] Lamaism. The sign recurs, sometimes alone, on Indus stone bangles; Indus tree-gods wear bangles; in later folk religion, bangles are offered to sacred trees with prayers for off spring (cf. muruku ' boy'). (head of) cow a (+-tu) possessive suffix The interpretation of this important sign remains open; this is just a suggestion that needs testing. 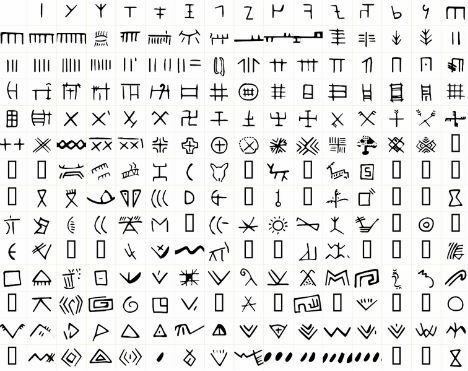 Jar Priest The most frequent and almost always terminal sign of the Indus script is read as a jar and connected to the legend of 'jar-born' sages and the symbolism of the jar connected to priestly ritual in Indian tradition. Lance Warrior Also a terminal sign, pr suffix associated with names or titles on seals like the 'jar' sign above. Man Servant, attendant or lower functionary Simple pictogram, frequently shown with ' jar' (lower order of priestly functionary?) but never with ' lance' sign. Jar + Bearer Officer or functionary with priestly duties Clearly combination of two signs, could be related to later Indian traditions combining the two motifs. Lance + Bearer Officer or functionary with military duties Also combination, perhaps designating officer with military duties. Harrow Farmer, tiller, tenant Also characteristically a terminal sign, sometimes in conjunction with ' jar,' ' lance,' or ' bearer' signs, suggesting combination of categories or serving under them.